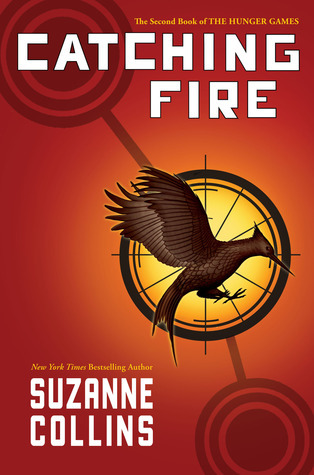 Review: Catching Fire certainly caught my attention; I just couldn’t put this book down. I loved this book so much I picked up the next one immediately, and now it’s hard to do a review because I have Mockingjay (#3) so clearly in my mind. So, I might just keep this quick! Following on from where it all began in The Hunger Games, it’s been a year since Katniss and Peeta battled it out in the arena, leaving many children behind who lost their lives. The capitol is still cranky that they managed to outsmart them in the games and have put their ‘love’ to the tests by bringing them back into battle. Katniss has become a symbol for standing up against the capitol which causes unrest in some of the districts. Katniss is still torn between her love for Gale her childhood best friend or Peeta the quiet, steady figure in her life. Katniss is a strong young woman, who growing up in a poverty-stricken environment surrounded by trauma and strict regimes, she certainly has some emotional issues and struggles with the intimacies of her relationships. I enjoyed meeting new characters such as Finnick and Joanne. This series touches on many controversial issues with themes of poverty, war, trauma and the power of the government. I’m still not convinced it should be marketed as a YA read given the violence but it seems to be enjoyed by all age groups. I don’t want to give too much away, but Catching Fire was a fantastic sequel to The Hunger Games and will leave you wanting more! I will post my review for Mockingjay tomorrow. See my review for The Hunger Games here. I’m glad you loved it too! I’ve loved every book in this trilogy, it’s unusual for me to rate so many at 5 stars, but they didn’t deserve anything less! I liked this one, but thought it was a bit repetitive of the first book, but loved the trilogy as a whole! That’s true, when they were getting ready for the games again, i thought is this going to be the same as the first?